This practical modern messenger bag is great for work, college and school. PRACTICAL: The bag has one main zipped compartment and a useful pocket on the front panel, there is a flap that secures at the front of the bag via a velcro fastening. On the side of the bag there is an open pocket and on the other side 5 pen pockets. ADJUSTABLE: The bag has a secure strap that can be adjusted to suit. At its shortest length the strap measures 35 cm from bag to shoulder and at its longest it measures 66 cm from the bag to the shoulder. 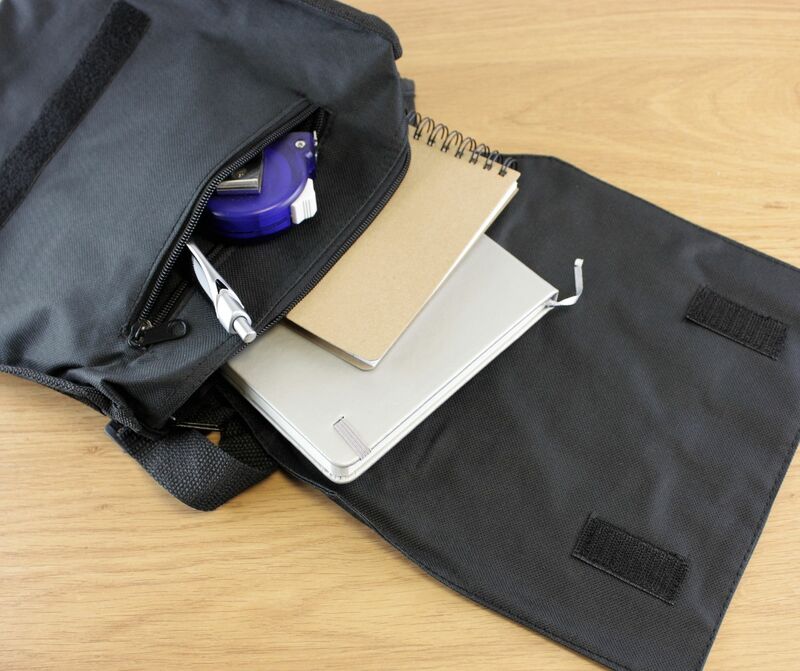 SECURE: This is a personal sized bag, ideal for keeping your valuables safe. 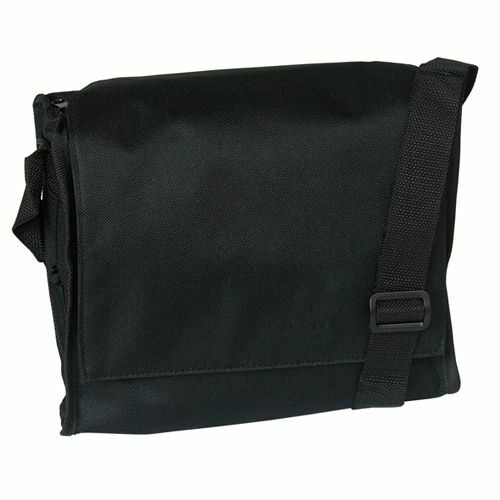 The bag has one main compartment that is fully zipped, a secondary pocket on top of this also fully zipped and a front flap with velcro fastening.